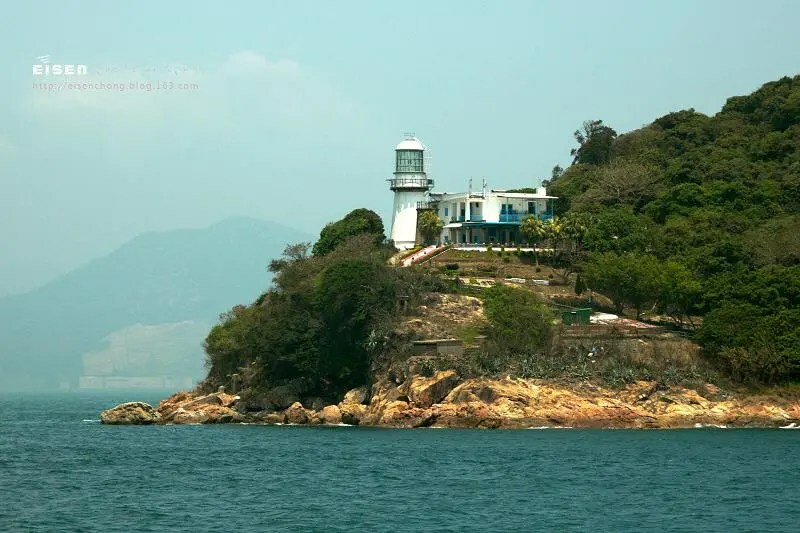 Situated on Green Island, a short distance off the west coast of Hong Kong Island, the Green Island Lighthouse Compound comprises two lighthouses, a former European quarters and a former keeper’s house. 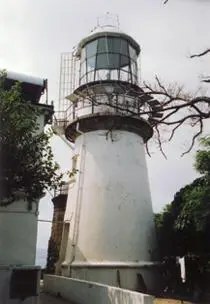 Both Green Island Lighthouses have served thousands of vessels approaching Hong Kong from the west for many decades and have thus played an important role in Hong Kong’s maritime history. Green Island Lighthouse started operation on July 1, 1875, about 3 months after Cape D’Aguilar Lighthouse was established. 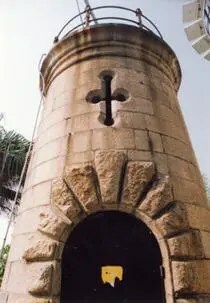 The old lighthouse is a 12-meter tall small circular tower constructed of granite with projected rock-faced quoins distinguishing its doorway. Two cross-shaped openings in its wall provide ventilation and indoor illumination, resembling those found in medieval European castles. In 1901, the government planned to move the lantern of Cape D’Aguilar Lighthouse to Green Island. To accommodate the light apparatus, the construction of a higher and larger tower adjacent to the old one was completed in 1905. Made of concrete and granite, the new circular tower stood about 17.5 meters high and had a steel lantern on its top. The new lighthouse is painted white to increase its visibility to mariners and provide thermal insulation to the structure itself. The new lighthouse, previously operated local staff, was fully automated in the 1970s. The Green Island Lighthouse Compound was declared a monument on Nov 7, 2008. The former staff quarters and the former keeper’s house together with the surrounding area (except the two lighthouses) have been used as a drug treatment and rehabilitation center for youth since 2001. There is no public transportation to get there other than renting a boat.